Park Forest, IL—(ENEWSPF)—November 7, 2016. 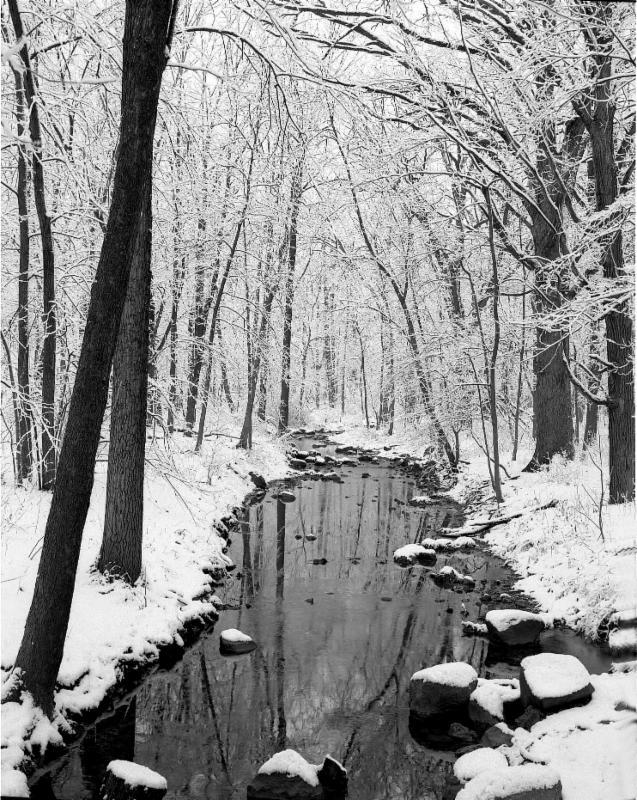 Tall Grass Arts Association, 367 Artists Walk in DownTown Park Forest, will exhibit ‘A Winter’s Tale’ beginning Thursday, November 17 through Saturday, January 7. An opening reception will be held at the Gallery on Saturday, November 19 from 1 p.m. to 4 p.m. Both the exhibit and reception are free and open to the public. ‘A Winter’s Tale’ is an exhibit of paintings, drawings and photographs by regional artists Graydon Cafarella, Chuck Michaels, Stuart Pearson, Richard Schmidt, Mary Ann Trzyna and Marikay Peter Witlock. Nearly fifty works by these well-known, highly respected, and award-winning artists will fill the gallery walls with images of the season – the pristine and transformed landscapes of frozen lakes and ice-encased trees; blurred suns glowing through snow-heavy skies; barns, bridges and homes half-hidden beneath wind-blown drifts – the special places of winter’s days and nights that have touched the artists. Through their visions of various cold weather moments they remind us how visually exciting and beautiful this time of year is. Curators for ‘A Winter’s Tale’ are Claudia Craemer and Deborah Craemer. Tall Grass Arts Association is open Tuesday through Saturday from 11 a.m. to 4 p.m. For additional information, call 708-748-3377 or visit www.tallgrassarts.org.